It's the first weekend in quite a while we haven't either been out of town or had a huge agenda to tend to. Last night our 5 year old granddaughter stayed here overnight. She'll be six in a couple of weeks. I'm reminded once again how very quickly children move along the path of life without skipping a beat or pausing to stay a little longer at one of my favorite kissy-cheek stages. No, they grow up fast so we endeavor to take the time we have to stop the regularly scheduled pace of life momentarily and treasure every visit. This morning our 2.5 year old grandson came by to join her for some cousin time. I'm so thankful we are close by to enjoy them as often as we like. What a blessing! We ate breakfast together, tromped around in the the back yard playing for a while and they ended up hot and sweaty and went for a swim in the swimming pool. They are both enthralled by the wildlife and butterflies in Mimi's garden. We're learning how to recognize some of them by sound as well as by sight and also learning their habitats and characteristics. And, as is the ordinary, I too, was attracted to them with my point and shoot. It happened to be that time of day when the birds come to the feeders for their mid-morning snack. ... it didn't take but fifteen minutes to capture these few fluttering critters and flowers to make our outdoor time even more interesting and colorful. After a very busy week of gardening, except for pulling a few weeds in between setting up the t-ball game, I managed not to do any gardening today. Well, I don't think going out this evening to water all the potted plants (and pulling a few more weeds) counts as gardening. I noticed the rain we finally got earlier this week gave us another quick flush of the sweet pink rain lilies. Just when you think they are all finished for the year, here they come again. Hope you are all enjoying your weekend of gardening or family or whatever brings you joy. Thanks for a well written post and a place to find a good read and good pix. I'll be visiting. What a beautiful day.....Savor every minute, they will be grown and gone before you know it. Today was a gorgeous day. When I finally got home this afternoon I even went for a jog. It was hot, but not absolutely horrible since there was a sea breeze. I thought of you because I kept seeing butterflies and birds. Glad you had a quiet day with the fam today! I remember times with my grandmother, in her garden, learning about nature. Thanks for the trip down memory lane this morning - it brought a smile to my face. Paulie: Thank you for stopping by. Darla: Don't I know how fast they grow?... all mine are gone and when they are young you think it will be an eternity before you have a solid day to yourself... then... just like that... they are grown and gone. mjm: Except for the temps... it WAS gorgeous. When I went out to water in the evening it was quite nice with a breeze under the trees... still broke a sweat though... and it really is mid-October already! Cheryl: somehow I get the feeling my grandchildren listen so carefully to all my goings on about the garden and things in the garden. Maybe it's just one of the advantages to being the GRANDparent. Kim: Thanks for sharing that thought. I, too, have very keen memories of times with my grandpa in his vegetable garden and then there were all the pretty flowers in Grandma's landscape. I was enthralled with it then and my garden is a carry over from childhood dreams I dreamed of having my very own garden someday. Cameron: And I love that you visit my blog... and thanks for your very kind comments. I think sometimes we underestimate the influence we have in the lives of the little ones around us. We've been blessed to be nearby our grandchildren and I don't want to take one moment of the time for granted. Such a beautiful and refreshing post! Are those pink lady slippers in the last photo? I wonder if they would grow in S. Fl. ? My mother used to grow them in her California garden and I never thought they would grow here, it is a delight to see them in your garden. 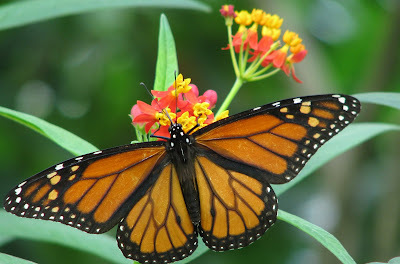 Beautiful photos of the butterflies! Sadly, I am seeing fewer varieties here as the days get shorter (though not cooler!). And I loved the blue plumbago on your last post--that is a brilliant shade of blue. I'm so glad you had a wonderful weekend with your grandchildren. I think as grandparents we realize how quickly time flies and know we have to enjoy every moment we have with them. Lovely, as always, Meems. I'm "mimi", too. It's so easy for the little ones to say. What a beautiful birdfeeder you have, too. Karrita: The last picture is of rain lilies. I do not know if pink lady slippers is another name for them or not. They are a bulb and yes, they grow in S. Florida. I think they also come in white. Rose: I often regret I didn't truly realize how quickly the children would be gone when they were growing up... somehow it takes getting past that part of our lives to grasp the truth of it. That's why God gave us grandchildren. What a delight and joy they are. Our oldest (10)grandson is staying overnight with us tonight and our youngest (2.5)grandson will be here for 4 days later this week. We are blessed. Patricia: Yes! This heat is tiresome. I can't wait for some drier weather at least. Mimi has been learned by each of our grandchildren right after Mommy... gotta love that. I picked that name out long before grandchildren were ever in the picture... I really like the sound of it coming from their sweet voices. Out of Mimi came the nickname "meems"... which my own children now often call me too. The birdfeeder is filled with safflower seed only which the squirrels are not suppose to be fond of... only lately they've forgotten they don't like it. sigh. Susie: You were leaving me a message at the same time I was leaving you a message. Love it when that happens. Thanks. I'm glad you like the pics. 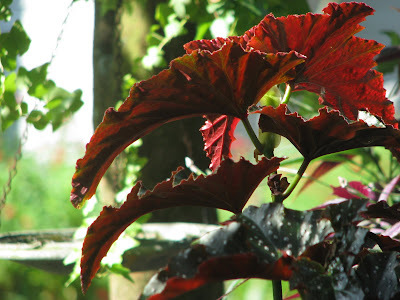 Did you ever see the post I did onTallahassee Nurseries? I am a soon-to-be-grandmother next month of our first granddaughter and I look forward to sharing some of your experiences. The butterflies are so gorgeous. Beautiful butterfly pictures! I wish I had paid more attention to my grandparents when we would be out in the garden. I could have learned so much more. I have Monarchs too! Doesn't it feel magical when they arrive. Your blooms are beautiful and I enjoyed walking in your garden today. Your posts are a lesson in what's important in life. Thanks for sharing your weekend. I must say I also admire your butterfly pictures; I tried to take some last week and was mostly unsuccessful. 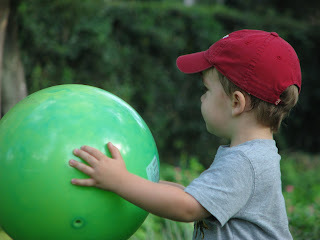 The garden is a wonderful place for children. I remember fondly the things I learned following my Mom and Grandma around. Hi meems, I feel like I was gone for weeks and not just a long weekend. 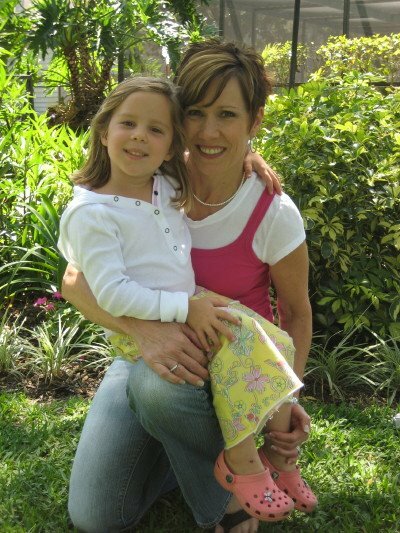 Your Saturday sounds delightful...I remember fondly the kissy cheeks stage and how seemlessly was the move on to the next and then the next until...my sweet baby is an adult! You've painted just the picture of how I want my grandmother years to be...time sharing and growing in a garden! It sounds like you had a delightful weekend Mimi. how great to get to spend some quality time at home and include the grands too. they are precious!it is so nice they will all grow up appreciating the beauty of nature and creatures in mimi's garden. those creatures sure are beautiful and you got some great photos of them. Congratulations, Carolyn Gail!!! Your whole life is about to blossom and take your heart to levels you probably never thought possible. Very excited for you. Don't feel badly, Susie, I have the same wishes... if only we knew then what we know now about paying attention. Anna, Did you know the monarchs are here year round? What a treat for us right? Thanks for walking around my garden today. When photographing butterflies, Mary Beth, I take lots of photos... some of them are bound to turn out. I agree Marnie the garden has broadened my own life experiences and to be able to share it with my grandchildren is a true joy. My oldest (10)one was with me all day today. He was fascinated by the hawks sitting in the trees and flying overhead. 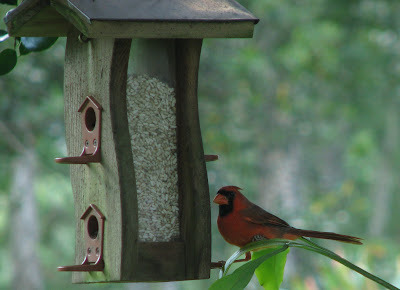 Then he got my older camera and sat quietly by the bird feeders waiting for candidates for his own photography fun. Oh, it all happens way too fast, Gail. Seemlessly ... perfectly describes the transition our little ones make. I have a feeling your grandmothering days will be done with grace and beauty... in the garden, too. Well the little ones definitely make it interesting. They never stop, you know, so it keeps us on our toes. marmee, Children are just naturally connected to nature it seems. Each child has their own unique qualities and characteristics. Each of them enjoys the garden on a different level, too. TG likes to be in the garden with me and notices the insects and birds. AG loves to walk through the winding paths and pretend she's in a forest. IM just likes to run and play but stops to notice the bird calls and butterflies... oh, and he LOVES to help me water. Beautiful pics as usual...i've been sorry to miss them in my hiatus. thanks for loving on those kissy-cheek kids, even when they don't want you kissing their cheeks! I like your new decor around the blog, especially the front door shot. 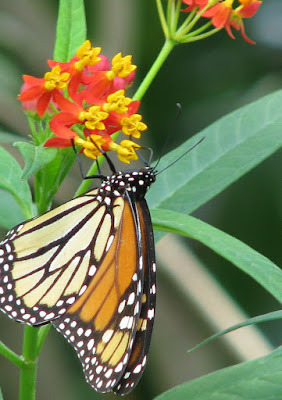 How fun for you and your grandchildren to see all the beautiful birds and butterflies you have in your garden Meems. They will learn an appreciation of nature at a young age. Something lots of kids are missing. What a nice weekend you had! It's so nice that your little ones are learning all about natures wonderful critters. I love the butterflies.Your pictures are lovely. As winter comes the butterflies leave my mid-western gardens. I shall come to see them in your fantastic garden. Sweet grandchildren. You are blessed. Hey hey!! Once again, this is jes' the purtiest blog! I feels right at home. clitoria ternata, better known as the blue butterfly pea. It is a zone 9-10 thang, jes' a treat! I does have a white version too--it is weak, but I will send you seeds if ya want me to. arissa mae: happy you are up and running again... computer woes are never fun. Am gettin my share of kissy cheeks this week. :-)Thanks. Kathleen: For some reason the little ones pay more attention to grandparents about these things it seems. And for some reason it seems I take more time with them talking about them. Hmmmm. 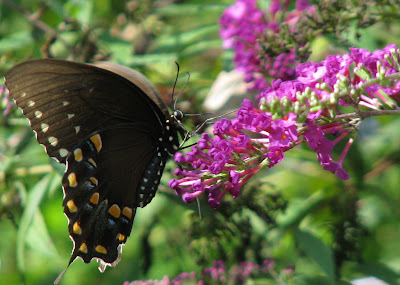 Q: Thanks so much for stopping by and feel free to visit when your butterflies take flight. We will enjoy their company all year and I will be doing my best to capture the essence of them as we move through the mild winter months. Aunty: You are a dear for stopping back by with all this great information for me. I apologize for the delay in thanking you properly. This week I've had the joy of keeping my toddler grandson while his parents are out of town... he keeps me well occupied. I have visited that wonderful Mississippi garden site before -- it is a purdy place. Right after you first enlightened me to the blue pea vine I happened to run across it on another garden blog out in Texas. She thinks it will grow like a weed here. Thanks ever so for all the helpful links. I will have my eye out for it now and will determine if I think it will fit here at Hoe & Shovel somewhere.